Choose an Instant Beat Store Widget. Airbit (formerly MyFlashStore) or BeatStars. Please upload your Airbit HTML5 Beatstore Widget code. Upload the created embed Code as a Textfile below. 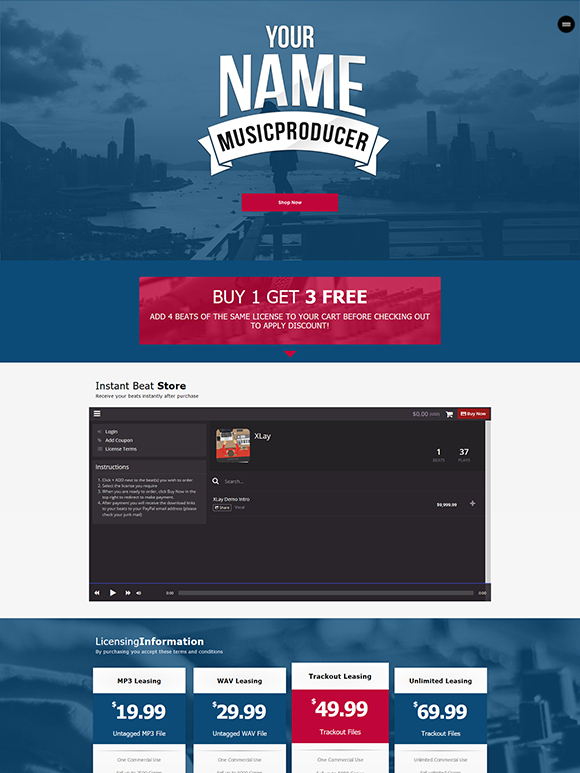 Please upload your Beatstars HTML5 Beatstore Widget code. Upload the created embed Code as a Textfile below. Let Visitors send you an Email directly from your Website.